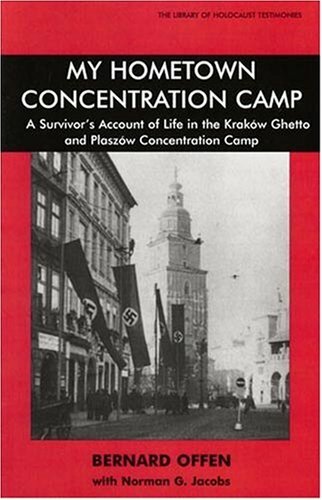 14th March 1943 - Kraków Ghetto, one of the five biggest Ghetto's created in Poland by the Nazi regime was "liquidated"
One of the most horrific and yet memorable part of my degree in history was the visiting of one of the former camps. The silence, the desolation and the staunch reminder that so many people perished. Yet, some people, against all the odds survived and have been brave enough to record the life during this very dark part of European history. I remember going to Krakow and Plaszow concentration camp when I was 14. It was a school trip and being there made it all seem very real and it helped you to really understand what exactly happened there in a way that a textbook doesn't. My mother's cousin, was 8 years old ,when he and his parents had to flee his home one February night. He told us, how after the war his family relocated 100 miles from Auschwitz. On a school trip, they were taken to visit the concentration camp.You could still smell the ash in the air.